Following his harrowing directorial debut The Childhood of a Leader, Brady Corbet is stepping up his scope with Vox Lux. Telling the story of Natalie Portman’s character on her pop stardom journey, from 1999 to 2017, NEON has now released a second trailer, this time spotlighting original music from Sia, whose tunes accompany an original score by Scott Walker. The specific song featured in the preview is “Wrapped Up,” performed by Raffey Cassidy & Natalie Portman, and written by Sia & Greg Kurstin. 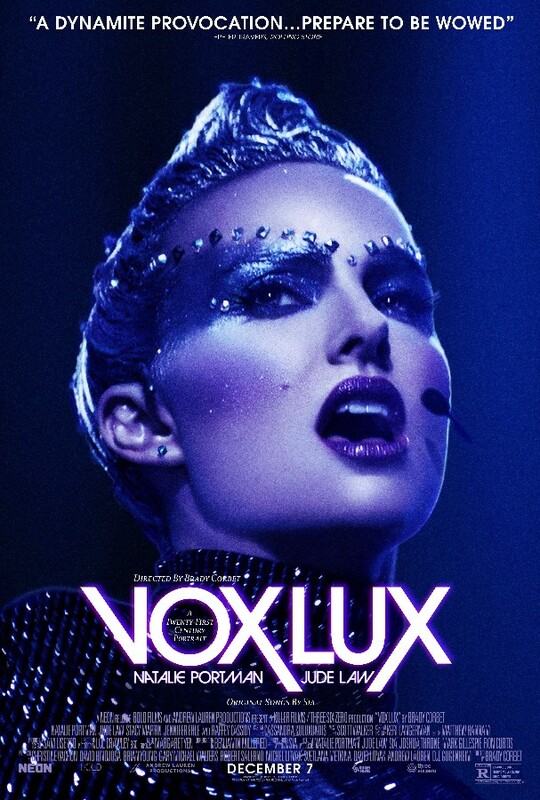 Vox Lux opens on December 7.